Consumer: Finance to approved applicants. 4.99% p.a. comparison rate finance is available on all adult utility ATV/SSVs plus AG100, AG125, AG200, TT-R230, XT250, WR250R, all YZ models plus WR250F and 2018 and earlier WR450F models on a loan term of 24 or 36 months with an application fee of $325. Note 2019 WR450F does not qualify for this offer. Comparison rate is based on a secured fixed rate consumer loan of $10,000 over 3 years. WARNING: This comparison rate is true only for the examples given and may not include all fees and charges. Different terms, fees or other loan amounts might result in a different comparison rate. Commercial: Applicable to ABN holders only (excludes fleet, government and rental buyers). 4.99% Farmer finance on models listed above and loan term of 24 or 36 months with an application fee of $325. Promotion ends on 30/06/19 with settlement and delivery 31/07/2019. Credit criteria, fees, charges, terms and conditions apply. Finance is provided by Yamaha Motor Finance Australia Pty Ltd. ABN 29 101 928 670 Australian Credit Licence No 394553. *XSR700 matches future tech with retro style for an entertaining ride with attitude to burn. With deep torque and a super agile chassis, itâ€™s for those who appreciate heritage without the hassle. 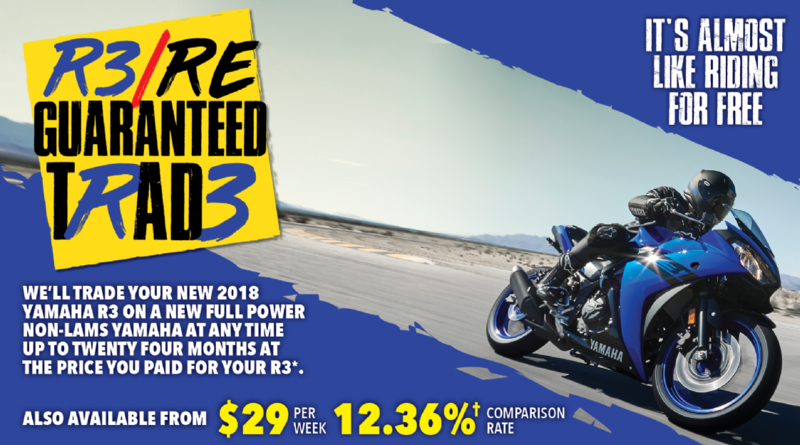 This 655cc model is unique to Australia with power delivery specially maximised for our LAMs market, and now it's more affordable than ever, with $1500 saving off the RRP. Hurry into your local Yamaha dealer today. Offer ends 30th June 2019, while stocks last.